We are a musical bunch at St. Andrew's! 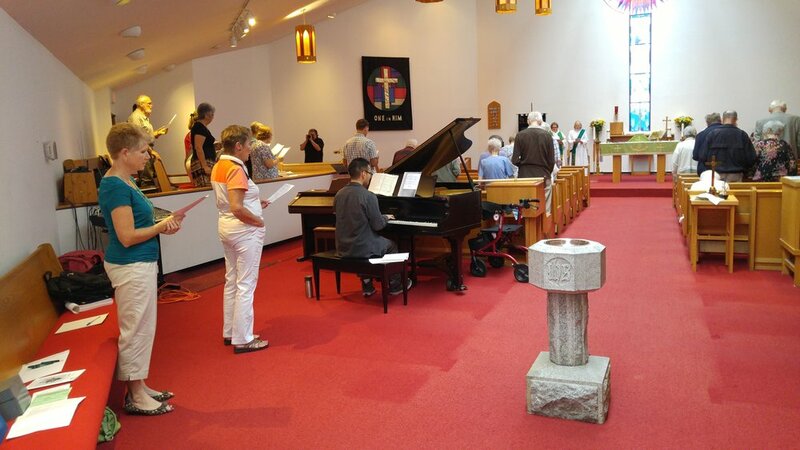 The music ministry at St. Andrew's creates a spiritual environment that focuses on giving glory to God and encouraging growth in Christ through music. Our Sunday 10:00 am service is accompanied by exceptional music, lead by piano, or organ, and our choir! The music is primarily from the Anglican Hymn book "Common Praise" as well as other sources such as "Jesus Praise"